2019 is now well underway. For those in grief, the new year can be extremely painful. The heartache potential of December 31st and into January is sometimes overlooked when we're wading through the griefy sludge of the winter holiday season. We can be surprised at the pain that the inevitable turn of the calendar brings. It means another year of our lives that our beloveds are not here. If it's your first New Year without your beloved, it may hit you hard when you realize you can no longer say, "This time last year..." If you're further down the road, looking back at the years and the calendar pages piling up behind you--without the one you love--each new year is at best bittersweet, and at worst, excruciating. We spent this past New Year’s Eve with extended family. 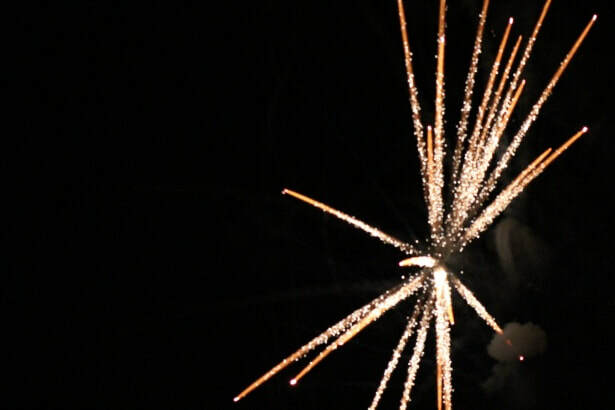 My brother-in-law and nephews engineered a spectacularly beautiful fireworks display in the front yard. Historically, fireworks at the New Year are supposed to light up the night in order to chase off the demons and darkness of the old year, making clear the way for new things and better luck to fill the new year. For those in grief, the happy-making traditions feel like so much wishful thinking. We know that there is no good luck tradition, no New Year's day recipe, no resolution we can ever make that will bring us what we most deeply long for in this or any new year to come. Outside with family and friends, I was laughing, oohing and ahhing along with everyone else. The display was truly beautiful and I was grateful to be with the ones I love. At the same time, I was also missing my boy who would now be 13. Standing there looking up at the cold night sky, watching the explosions of light and color, thinking of him, I was asking in my heart, "Where are you? Are you up there? Can you see this? Can you see me? Are you here? Where are you? Where are you really?" I wondered too how things would be different were he here. And as I've wondered so many times over these nearly 13 years now, who would he be? What would he be like? What would he look like? How would life be different? And always at the holiday times, when everyone is gathered, the missing is so much more piercing. My firstborn child is always missing. And I am always missing him. Holding all my feelings, watching the night alight with fire, I know that I can appreciate the beauty in the light, only because of the dark. I don't need my darkness chased away. I need to acknowledge it. I need rest in it sometimes. I need it to cover me sometimes. We need the dark as much as we need the light. For light to exist, it needs the darkness to shine forth. It took me a long time to be okay with both the darkness and the light. And I know now that I can never have, or be, only one or the other. I wish you peace and balance in this new year and hope that you find ways of integrating the light and the dark on your own journey. Feel free to comment below or write me back with questions, thoughts or anything you'd like to share. Any of the contact forms anywhere on this site send your message directly to me. Mother's Day is Here. Again. I wish people knew that this day, now over-commercialized, over-sentimentalized, overblown and over-filled with spending, obligation, and long waits at any brunch-worthy restaurant, was first created by and for bereaved mothers who shared it with all other mothers. They started it not to elevate to superiority the mother and her role in family and society, or even to simply honor motherhood. Did you know that the women who started Mother’s Day were actively working to help lower infant mortality rates? That they protested the wars that had taken the lives of their sons? That they were working to form bonds with other mothers whose children were also lost to war? Headed by West Virginia activist Ann Jarvis, a bunch of bereaved mothers got together for peace demonstrations. They held work days for service. They tended wounded soldiers from both sides of the Civil War that ravaged our country and left hundreds of thousands dead. They organized picnics for pacifism and worked to unite the country in hopes that no one would ever again lose a child to the horrors of war. In 1870, one of their members Julia Ward Howe, best known for composing The Battle Hymn of the Republic issued a “Mother’s Day Proclamation” calling on women to take a more active political role in the promotion of peace and the ending of wars. Mother's Day is one of the most difficult days of the year for me. It is for many people. Mothers without their children, children without their mothers. Mother’s Day can be painful. For sure it is one of the most difficult days of the year in the continuing cycle of my grief calendar. We are a family of four that looks to all the world like a family of three. My child is not an only child, though she appears to be. She lives without her brother as a physical presence in her life. I don’t think it's always easy for her. It's impossible to truly find the words to adequately express the pain and longing that continue to be part of daily existence without my son’s living and growing presence in this world. He should be here on his birthday this month to celebrate. It is difficult for me to imagine what he might look like. I wish I knew what kinds of things he would like to do, what subjects he would like in school, what he would like to eat, what he would not like, who his friends might be. I also have a living child; our spirited, funny, smart, beautiful, creative, inquisitive, talented daughter. I am profoundly grateful for her presence in this world and in our lives. Her presence does not negate his absence. I am a mother to two children, one who is alive and one who is dead. My motherhood for both of my children is special and sacred and also totally ordinary. I am a mother among many mothers. Early on in the searing and raw pain, I felt a deep connection to the many bereaved mothers who I realized existed in the world all around me and those who had already grieved the deaths of their children for millennia before me. I was neither special nor alone, and this realization brought me strange comfort and a sense of timeless connection. Bereaved motherhood is worthy of being acknowledged, honored and recognized along with every other kind of motherhood. Knowing the mothers who began Mother’s Day did so in their grief, in their hope of stopping the ravages of war that took so many of their children makes this sense even more profound. I want to take it back. To take Mother’s Day back to its origins. I would love to see a world where we are not treated or seen as separate because of our grief. Or avoided or pitied. I want acknowledgement on Mother’s Day for mothering both of my children, living and dead. With all my heart, I want all bereaved mothers to be acknowledged as the mothers they are, we are, on Mother’s Day--along with all other mothers. We are all mothers and should be honored as such. This Sunday, on the traditional Mother’s Day, I will remember this day created by bereaved mothers; those who sought to make meaning of life after the deaths of their children, who looked to promote peace and togetherness in their world. As Julia Ward Howe said, "We women of one country will be too tender of those of another country to allow our sons to be trained to injure theirs." Her plea touches my heart. Her plea, their movement, was an incredibly personal way to try to achieve global peace. Most people do not know the origins of Mother's Day. I wish everyone did. Regardless, Mother's Day is upon us. Whether we want it or not. Whether we get to be with all of our children or with our mothers or not. However we feel about it, it is here. To all mothers who are without their children, to all children without their mothers. I wish a peaceful Mother’s Day and send love. Moving into a New Year, what we generally hear are the ringing in of resolutions, renewed hopes for better days, leaving behind pain; all the bad things we'd rather not remember from this our most recent year past. Resolve to change, to be better, to do better. This one, 2016, I think most of us can agree, was fairly fraught with pain, fear, loss, and grief of all kinds. The 2016 spectrum of loss and grief is long, tall, wide, and deep. While much of what we can agree upon as a people has been called into question, I think, on this, we can all concur: 2016 has been a hard, painful year. I have never been much on resolutions. Rarely do we keep them (full disclosure: I have never kept a resolution in my entire life) and though they usually have to do with something seemingly good for us, generally they also come from a place that says, "There is something wrong with you that needs fixing." And then, when we do not keep them, we get to find more reasons to feel even worse about ourselves. Far more preferable, in my opinion, are intentions. Yes, I know what the adage says about intentions and the paving of roads--good, bad, or otherwise--and I think whoever made that one up didn't quite understand intention. Intention has to do with thoughtfulness; about our aims and objectives, about purpose. Intention is about paying attention. When a yoga teacher talks about setting an intention at the beginning of class, what she's doing is asking you to think about what it is that you would like to receive, to accomplish, or what you might like to bring your attention to in the space of time in which you are practicing the thing called yoga. A good teacher then asks you at some point to remember your intention. She may ask you to recall it again at another point in your practice. And again at the end. She may ask you to carry that intention out into the world. 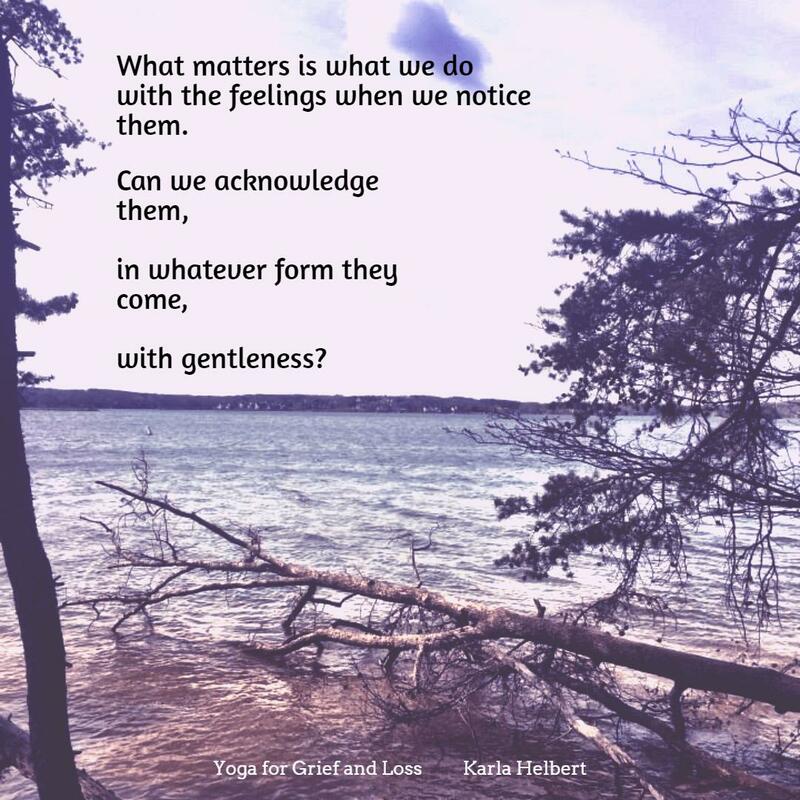 I remember listening in such an instance to a yoga teacher-- as well as to my own constant inner dialogue--which all of us have--and saying to myself, "What does that mean? Intention? What does she want, what should I be thinking of? What is a good intention?" (probably not without some ingrained thoughts about paved ways to varied Underworlds and possibly other real or imagined places I didn't want to visit). In that hour and a half though, I came to the realization that what having an intention really means is to have some idea, some hope, some goal which, infused with good will, hope, and ultimately, my own force of love, can eventually have some effect, impact and influence upon my life. Possibly also upon my the lives of my family, my friends, my circle of existence. Perhaps in the larger world in which I live, of which I am a citizen on this planet we call Earth. Despite their reputation, intentions are kind of a big deal. Intentions mean quite a lot. They mean a great deal. In my own life, day to day, moment to moment, I can change absolutely anything and everything with my intentions. On that day, that realization, in that yoga class, was a revelation. I can change anything and everything with my intentions.You can do that too. We can do that collectively. What is even more amazing is that intention can be a revelation every single day for each one of us. What if we could all have intentions instead of resolutions this 2017? What if we all intend to be more present to our experience in the moment with others? What if we intend to practice kindness toward others daily? What if our intentions as a collective people--as a planet--were to be more compassionate? In all things, to all beings? Can you imagine the changes? What if we intended to learn whatever we can from whatever situation we are in, with whomever we happen to be next to? I do a lot of things in my life, but truly, the more I do and live and work, the more I realize that yoga is the underpinning of everything. The word yoga means union. 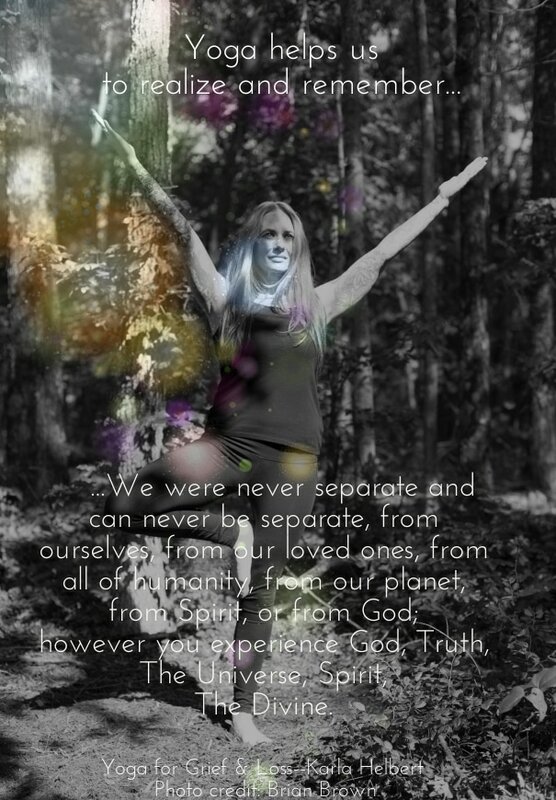 Yoga is about the unification of us all. For each of us individually with each aspect of our inner selves, and for us as separate individuals cultivating the recognition that we are more alike than we are different, for us as an entire people to recognize that we are all One, living here together on one planet. Yoga teaches us that we are whole and perfect as we are. We don't need resolutions to be better. In fact, the essential teaching of yoga is that we are whole and perfect as we are. Right now. In pain, in grief, in what we may perceive as a state of complete deprivation and heartbreak. Yoga teaches us to accept who we are, where we are, how we are right now. Yoga points us toward a knowing that we are more than our feelings, whatever they are, while allowing and supporting our experience in life as it is right now. Yoga helps us see ourselves, our world, the universe, even our beloved dead, differently--in ways that can lead to peace, even within pain. Yoga allows us to be exactly where we are, when we are. Yoga supports us in accepting where we are physically, cognitively, emotionally, mentally, spiritually in this moment—and then in this one, and again in this one, and when it changes, now, in this moment. Yoga teaches that we are whole and perfect just as we are, even if and when we do not believe it for ourselves. What if we intend to see that as a true possibility? Really--what if we intended to see that as a true possibility? I am whole and perfect, just as I am, right now, exactly as I am. What if, right now, we all decide to create an intention to be as compassionate as possible toward ourselves? Knowing that if we do that; if we truly do that, we can also be as compassionate as possible toward others whom we come across in this life. Whether those are our nearest and dearest or those we meet in the street. At the gas pump, in the grocery store, at work, at school, in the doctor's office, at the gym, at church, temple, in the woods,in the club, on the mountains, the beach, the mall, the spa, the side of the road, the bank, your neighborhood, in yoga class, the soccer field, your mom's house, your best friend's house, the neighborhood bar or restaurant. Can we find that anyplace can be the place where we can have the very best of intentions for ourselves and also for those we meet? What if we intend to see all of life as yoga, as love, as union? Just imagine that. How amazing that would be. I am setting my intention right now and you are part of it. This is my intention. Most people who have taken a yoga class have seen, and most likely engaged in the practice of taking anjali mudra (see photo above). The pressing together of the palms calms the right and left hemispheres of the brain. This is true no matter the placement of the hands. When we place the joined palms at the heart center, we calm our minds and bring our attention to the beating of our hearts, noticing our own rhythm in that specific moment of our life. Bringing the palms together at our heart center, we bow our head. We say,“Namaste." We say this to the teacher, to the other students, to ourselves. Nam-as-te = I bow to you. The bowing and the greeting is in acknowledgement of the Divine within. I see and honor the love, the light, the beauty, the depth, the fullness, the bounty and the fire of creation that is within you because it is also in me. Each of us is an extension of the Divine Source. This common daily practice that can seem trivial, even rote, recognizes that each of us is part of God; that we ourselves are part of the Divine. This is a truly profound act. I see, acknowledge, and bow to the Divine, which makes Its home in your heart and in mine. I bow to you as the Divine. Especially, for our purposes here, what does truth mean when we are in grief? In or out of grief, truth is truth. Right? My last post began a series on each of the Yamas and Niyamas, Yoga's ethical guidelines for life, and how they are applicable to our world in grief and beyond. Eventually, if we live long enough and love others, this applies to every single one of us. This installment focuses on the second Yama, Satya, which translates to mean truth or non-lying. It is also translated to mean the highest reality, that which is real, genuine, sincere. Truth---with a capital T---is unwavering and absolute, while truth---without the capital T---is more flexible, depending on many things. In grief and all of life, there are those things that are True and there are also our own truths. In Truth (or truth), as in all things, self-awareness is of the utmost importance. So what is your truth? What is your Truth? How much of it do we share or not? How do we carry our truth into the world, especially when we are in grief and are so raw, feeling the constant need to protect our hearts and the memories of our beloveds? Satya is non-lying—telling the truth. It means restraining from falsehoods or distorting reality. Truth is sometimes clear, and at other times what is true may be subjective, and always, our personal truths are colored by our own perception. All of our experiences are filtered through our senses of perception, our personal system of beliefs, our opinions, ideals and values. So what is truth? And what does it mean in grief? Truthfulness is also being genuine and congruent—living in such a way that our thoughts, feelings, words, and actions are in harmony. This is yet another thing that can be difficult in grief. We live in a world that does not really understand what deep grief really means nor what it is to live immersed in sorrow. Among other things, we are tasked with figuring out how to live authentically with and within grief, in its many forms and with its many changes and among others who may not understand. 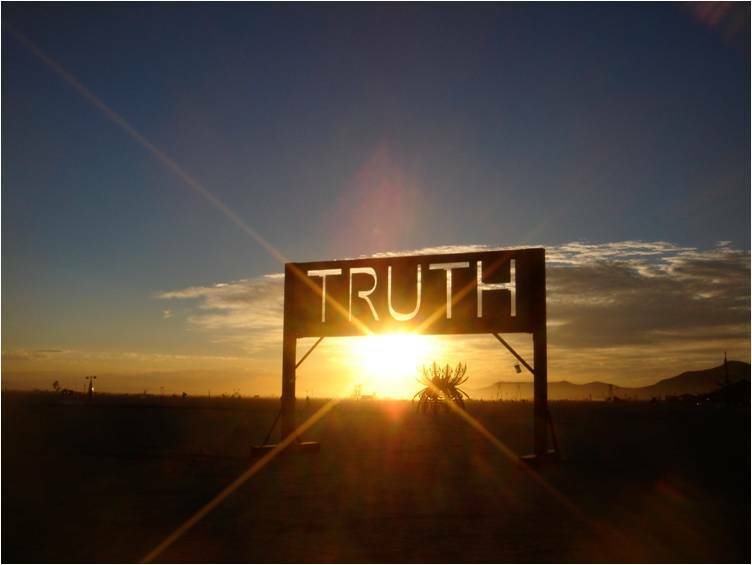 Satya’s guiding principle can assist us to be mindful of living in accord with our new truth. You may feel that you are living a dual life—one in which you feel you must pretend to be okay, hiding the truth of your grief, and another private world where sadness, pain, and longing may be more constant than not. One of the biggest lies in grief is the one we tell in answer to the question, “How are you?” So often we may lie and simply say that we are fine because others are uncomfortable or, because it is socially unacceptable to cry or express sadness, we feel awkward and exposed. Occasionally, you may encounter the rare individual who wants to know, “How are you really?” Usually though, we believe most people don’t really want to know the truth. They may be well meaning, but, we think, if they really knew the truth, they would wish they hadn’t asked. Do we lie or tell our truth? The pretense can be exhausting, but the lack of a safe space where the truth can simply be accepted is sorely lacking. There are also lies of omission. Not in the classic sense of omitting specific details to intentionally deceive, but in not telling others what we want or need; by refraining from talking about our beloved, not mentioning her name, or not contributing to a conversation when the urge naturally arises. We do not do what our hearts urge us to do for many good reasons. It is painful, we may cry, others may be upset, we have received messages in the past that it is not okay to cry or to share, we don’t feel safe in sharing our hearts. By not revealing ourselves, our needs, our experiences, we omit and neglect our truth. In so doing, what do we do to ourselves? Living and speaking our own personal truth is incredibly empowering. In grief, empowerment can be hard to come by. Of course not all situations call for total transparency and openness. With a lie or an omission, uncomfortable situations can be avoided, feelings are spared, we may seem more “together” than we really are. Sometimes that may be helpful—on a job interview or in a new situation with new people for example. How can we know when to tell the unvarnished truth and when to keep it to ourselves? Truth and honesty beget intimacy. The surest way to erode closeness in any relationship is dishonesty. How much truth to tell and when should be based on your level of intimacy with the person and the importance of the relationship. In your most important relationships, you must tell your truth, even if it is hard. Your most important relationship is the one you have with yourself. We must always tell the truth to ourselves. About our needs, our pain, our grief, our fears, our hopes, our dreams, our wishes. We must tell those closest to us, as much truth as we can possibly manage. When truth cannot be shared, relationships change. Intimacy erodes. When those we love and to whom we are close cannot hear our truth, even when we try to tell it, often those relationships can become sorely damaged. Sometimes relationships come to an end. Telling ourselves the truth about our relationships can be difficult. Friends, co-workers, and acquaintances, should be told as much truth as is needed to maintain or to grow a connection you’re comfortable with. Strangers and those to whom you have no relationship do not necessarily need to know your deepest truths. You must judge this for yourself. If we are to grow and become in life and in grief, we must try to be open about our truth with ourselves first and with others whom we love. This can feel risky. In grief we are extremely vulnerable. It is important to feel safe to be able to share your truth. You can begin by taking small risks. When someone asks, “How are you?” whether they mean it really, or whether it is social convention, you might say something like, “I’m having a hard day, but thanks for asking.” This does not require the person to do or say anything further. One of the reasons many bereaved do not share how they really feel is because they do not wish to be a burden to others, to make someone else feel that they must take care or change something. The truth is that they cannot fix this. No one can. Another way to share your truth is be honest with yourself about what you need. If you want to talk about how you feel, if you want to hear your beloved’s name, if you hope someone will reach out to you on your beloved’s birthday, anniversaries, Mother’s Day, Father’s Day, holidays and are afraid no one will, say so and ask for what you need. Take a risk, no matter how small, and reveal what you may feel slightly uncomfortable revealing. Practice finding comfort in the discomfort. Measure responses and determine whether it is safe to share more. If it is not safe, find a place where it is safe. Speak your truth in small doses until you feel more comfortable and empowered to do it regularly. Allow your own truth and your love to be your guide. With practice, you can hear your own inner truth, your satya, in all situations. First, We Must ﻿Do No Harm. "Be soft. Do not let the world make you hard. Do not let pain make you hate. Do not let the bitterness steal your sweetness.Take pride that even though the rest of the world may disagree, you still believe the world to be a beautiful place." Summer, here in the Northern Hemisphere, is the season of abundance; of energy, of vitality, of growth. Forests, gardens and suburban lawns burst with life. Food sprouts from gardens and hangs from trees. The elements seem far kinder and welcoming to those who live out of doors, human and animal alike. Mother Nature gives Her gifts of nourishment. The Sun itself, at Its zenith during these summer months gives longer days, extra heat, and brings plentiful growth. The power of the Sun is immense. It is the primordial fire and source of life, it is gorgeous and infernal and is the element of transformation. The sun can also burn and consume and purify. In Summer our relationship to the Sun and all its qualities is much more immediate. In literature, myth, and the symbology of the Native American medicine wheel, Summer is a time of swift growth and change, of life and abundance; of soaring temperatures and often heated emotions and passions. Both love and anger are emotions of heat. Grief is also full of these. Summer brings light and warmth that can allow for more "good days," times when grief might feel lighter, less oppressive, due to the direct increase of sunlight on exposed skin, in our eyes, and thereby in our brains. The summer season may offer more time and greater opportunity for escape from the day-to-day of our regular schedules--and regular grief--more time and space to get away, to take a break, to bask in the healing qualities of Nature, to take a vacation from grief. Summer also often brings opportunity to be near water, which I recommend whenever possible. Water, the element of our changing and flowing emotions, can soothe blistered hearts and hot tears with its coolness and its gentle but insistent and powerful opposing force. It counteracts the heat of Fire. Summertime, like grief, is full of Fire and Water. Opposite forces working against and with the other, they vanquish each other and help us find balance. Balance during this Summer has been difficult. For many of us on deep, personal, individual levels, grieving our beloveds in so many ways; Summertime memories of when they were here on this physical plane are so painful. For others, Summertime memories that will never be, some that never were, are like daggers to our hearts. While it can bring respite, Summer also brings, as all the seasons do, its own reminders of what and who we will always be missing. Finding balance in this is part of finding our way through grief. Despite its lushness, Summer can be so awfully hard. In many ways, this Summer feels particularly hard. Finding balance as a people, as a nation here in the U.S., and as people sharing this Earth with billions of other humans has, of late, been a heartrending challenge. We are in a time of upheaval, of change, of revolution—of our spirits, our souls, our hearts. The future of our very planet and certainly of our continued existence as a human race is at stake. The violence, the pain, the suffering we are witnessing, and which so many of us are grieving, is not new. None of this is new, these things are only now being exposed, more than ever before. There has never been, in human history, so many means for so much exposure. This is a pivotal time, and many of us are experiencing grief on so many levels—private, personal , public, collective, communal, global. There is grief about the sheer amount of grief and a pervasive, insidious sense of helplessness and fear that can feel like an assault on mind, heart and psyche. There have been days this Summer when the heartbreak, pain and grief have been nearly overwhelming. I spent the day after the murders of Alton Sterling and Philando Castile off and on in tears, crying also for people I love who are going through their own personal tragedies, overwhelmed with fear and grief. At the same moment, I was trying really, really hard to be present for those who needed me to be here now. And then came Dallas, and before that had already come Orlando. And now Istanbul and Nice. I felt overwhelmed at the sheer amount of grief and pain and suffering that exists in this world. I realize that I cannot do everything. None among us can do everything. I had to figure out what it is that I can actually do. I realized that the best and most helpful thing in any given moment is to try to hold all that suffering, mine included, in a space of love. I acknowledge the suffering, my own and others, my fear and that of others, and still as Kurt says in the opening quote above, I try to remember to not let it make me hard, to not let it make me hate, to not let the bitterness steal the sweetness. And something I can always do is to first, do no harm. That is the number one consideration in my profession and it is also the first of Patanjali’s Yamas. Ahimsa. This Sanskrit word means "non-violence"--do no harm.Though it should not have been, this was in that moment, a revalation. Because of this, I have decided to begin a monthly series discussing each of the Yamas and Niyamas as they relate to grief and to life and to the pains we are as a people moving through. The Yamas are the first in the Eight Limbs of Yoga described by the ancient and brilliant Patanjali in The Yoga Sutras, the classical text of how to practice yoga, and also a pretty amazing guide on how get through this thing called life. It is reflective of teachings found in many spiritual paths. The gift of Patanjali, though, is that his writings only point the way. He gives us the threads—the literal meaning of the Sanskrit word sutra—and with those threads allows us the opportunity to bring our own direct knowledge and experience to the process and product of the weaving, which belongs only to us. The first of his famous Eight Limbs is the Yamas, five conditions of behavior, things we should refrain from doing in order to live a harmonious and ethical life. Ahimsa, non-violence, do no harm is the first. The order in which the Eight Limbs are written is no accident. First, we must do no harm. This is the foundation. Ahimsa is often translated to mean non-harming, non-violence. Sadly, humans beings are often violent. Our capacity for violence of all kinds is our worst quality and greatest failing. Acknowledging our own capacity for violence—toward ourselves and others—is the beginning of change for all. The famed master yogi B.K.S. Iyengar said in his book The Tree of Yoga, "Why do you think of the violence of the world? Why don't you think of the violence in you?" Underlying violence is almost always fear. We are regularly filled with fears, of the unknown, of others, of change. To avoid feeling our own pain, or being in pain, we often cause pain to others as a form of protection against perceived vulnerabilities. When our security is threatened on any level, our inner capacity for violence is stimulated. When any part of what we perceive as our security is at risk, we immediately begin enacting ways to stop the threat. This may take place internally or it can be an all-out fight, but it is always a form of violence. Any time we experience any amount of hostility or antagonism, inwardly or outwardly, there is violence—even if but a seed. The danger is that when tended, seeds grow. The experience of grief can bring with it many feelings and experiences rife with violence. Whether our loved one died violently or not, the result feels like a violation. We feel that violence has been done to us and to our beloved. The state of the world may intensify feelings of violation, violence and fear. We may want to lash out, to harm, to destroy. Anger or violent thoughts may fill our minds. To feel such complete powerlessness in the face of utter destruction is a pain that ultimately cannot properly be described with mere words. Often when people are filled with such despair, anger can result. We may withdraw and direct violence toward ourselves in the form of neglect, or outwardly in harmful behaviors that can damage body, mind, and spirit--our own as well as others'. Violence, inward and outward, is often a part of grief—and part of the human condition. We live in a world where anger is often more acceptable than sadness. Anger itself is not the problem, violence is the problem. Anger is a signal that there is something wrong, and when your beloved is dead, when loss has destroyed life as you knew it, there is something very wrong. When loss upon loss builds, something is very wrong. Recognizing that the feelings are important and being aware of how we direct the energy of anger and fear make all the difference. Learning to replace violent and destructive feelings and tendencies with those which are loving and constructive can be difficult but it is possible. Taking good care of yourself is essential in grief and in managing feelings of anger and fear—the seeds of violence. Yet, most of us have extreme difficulty with self-care in grief. Sometimes this is because we are so overwhelmed by the pain that we simply do not have the energy to act in a caretaking way for ourselves. Other times we may feel emotionally unable to engage in any act of love or care toward ourselves. We may feel undeserving of care or love. Because we are already in so much pain, because we may feel we do not deserve to have anything other than pain, that there can never be anything other than pain in the future in seeking to avoid the pain of grief, we often do not care about pain we may cause ourselves—no pain can be greater than the pain of being without our beloveds. Awareness is the beginning of change. Can you observe without judgment any violence that has occurred or may be occurring inside you? Can you peel back the layers of that to see what lies beneath? Is there fear, is there anger? Where are those directed? Do you regularly perpetuate thoughts or engage in behaviors that cause harm to your body, mind, psyche, or spirit? The first step to dissolving the root of violence is recognizing that it has taken root. Is there a seed that may grow? Observe with love and compassion and without judgment any violence inside you and how it manifests. Spend some time thinking, with as much compassion as possible, about ways both large and small that you do harm to yourself. This in itself is a form of self-care. You do not have to force yourself to change your thoughts or actions, but rather attempt to become lovingly aware. Slowly and gently you can add small ways of caring for yourself. Those small ways may turn into greater acts of self-care. Self-care is physical—taking care of your body with good food, sleep, exercise, massage, movement, sunshine, and nutrition. It is mental—self-help books, music, art, creativity, seeking and finding a well-trained counselor who understands grief and bereavement,. It is spiritual—in meditation, nature, study of spiritual books, chant, ritual, prayer, contemplation, speaking to a trusted religious leader. Self-care is also found in reaching out to your community—to friends and family, neighbors, co-workers, it is finding and going to a support group, to on-line communities. Each of these can be done with small steps forward. All of these are self-care and with awareness and tenderness toward yourself, can grow. I don’t know how I am just hearing about this nascent movement for an International Bereaved Mother’s Day. Apparently the day is to be observed and distinguished as separate from the traditional second Sunday of the month of May, the regular Mother’s Day of which we are all aware. I don’t know why as bereaved mothers we should not be acknowledged as mothers along with all other mothers, on the same day. ​Yes, Mother’s Day is exceedingly painful. Since my son died in 2006, Mother’s Day for me has been one of the most trying days of the year. I also have a living child, a daughter born two years after the death of her brother. I desperately long for both of my children to be here to celebrating me as their mother, giving me sweet handmade cards, gifts, hugs, kisses, breakfasts in bed, whatever thing kids come up with to show their moms they love them on that special day. Mother’s Day is mostly an incredibly painful day. I look at my beautiful, spirited, brilliant, funny, creative daughter and am profoundly grateful for her presence and so proud to be her mother. And that is always true, every day of the year. And the excruciating pain of being without my son whom I love equally, and of whom I am also incredibly proud, is also a daily fact of my life. My grief and my state of bereavement are present every day of my life. Somehow though, on Mother’s Day, for me (and I don’t think I am alone among bereaved mothers), that pain is more present than nearly all of the other 364. My felt and experienced state of being bereft of my first born child is somehow on Mother’s Day unyielding. It is searing and stark. It is precisely because of the pain of Mother’s Day that I don’t want a special Bereaved Mother’s Day. I am a mother. A mother of two children. One who is alive and one who is dead. My motherhood for both of my children is special and sacred and also totally ordinary. I am a mother, among many mothers. This is also true for all bereaved mothers; those who also have living children and those whose only children, or all of their children, are dead. All our motherhood should be acknowledged and recognized as special, as sacred and as much our everyday as the motherhood of those fortunate enough to have all of their children alive here on this earth. Bereaved parents already feel isolated enough. Why do we need a separate day to receive acknowledgement for being mothers? 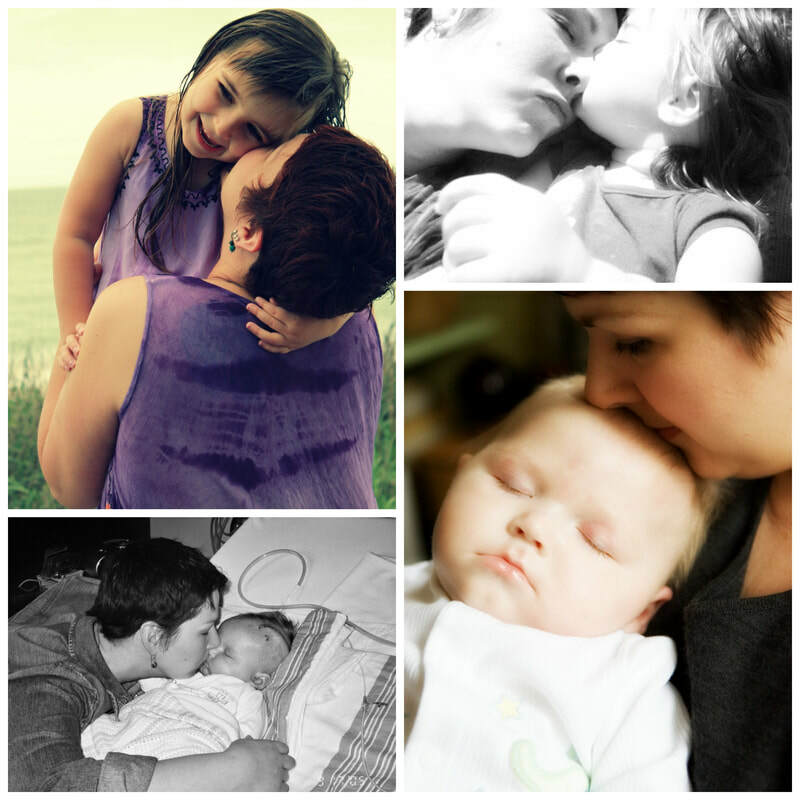 Bereaved motherhood is worthy of being acknowledged, honored and recognized along with every other kind of motherhood. We are mothers. I don’t want a separate day. I want to be acknowledged on Mother’s Day for mothering both of my children, living and dead. I want all bereaved mothers to be acknowledged as mothers on Mother’s Day with every other mother. We are all mothers and should be honored as such. We don’t need to be any more separate than we already are. I recognize that not everyone may share my sentiment. I think it’s an important point to make though. We don’t need more separation in this world. Not any of us—bereaved or non-bereaved. Don’t we already spend enough time feeling different, misunderstood, isolated and alone? More of that is not necessary or good for us. Let us ask instead for our motherhood to be lovingly acknowledged, honored and recognized along with all mothers, as we are all mothers. I am a bereaved mother yes. But I am a mother. We need each other. Our collective state of bereaved motherhood should be recognized as just as significant, as important, as honorable, as included as all of motherhood. ​We are mothers. Always. On all days. It's hard to tell exactly whether these posts and others like them are in response to the backlash from grieving parents all over the internet, but if so, I have to ask whether you or your staff, or whomever is posting these is thinking at all about the broken hearts of so many who are clearly saying to you, "Please listen to us!" Just what if everything you think you know about pain, about grief, even about God, may not be exactly what you thought? The grief of a bereaved parent—indeed of any traumatically bereaved person--is not something that can just be “gotten over,” tidily swept up--under any rug, or between the pages of the Bible. It is trauma. It is a depth of sadness and a constant yearning that can never properly be spoken of in words. It is a spiritual crisis unlike any other. And yes, perhaps it is true that God can know our hearts--if so, then God is the only one who can truly see this pain and not you or anyone else. Grief is isolating. It is also pure unadulterated chaos—to the heart, mind, body and spirit. When you and others to whom the bereaved would wish to turn for support, for some semblance of empathy, insist that we should feel other than we do, even when that might also be our own wish--and no amount of prayer changes that, it serves only to further isolate and hurt. Pastor Osteen, why would you not wish to learn more of how to be an instrument of peace and of comfort. Since Jesus Himself spoke those words, why would you not think that perhaps these events are taking place because God is calling you out to learn more, to show love, to learn a kind of compassion that goes beyond what you have known previously? One does not have to be a bereaved parent to be compassionate and loving toward a bereaved parent. Do you truly see these thousands of bereaved parents as your enemies? Are you saying that it is the Enemy who is causing our grief? It’s very unclear. But what does seem clear is that your actions--failing to respond, blocking bereaved parents from your pages-- and even more, your inaction, are motivated not out of love, but out of fear. I ask you to move the way that love would move. When we move and behave the way love does, we can know that we are aligned with a higher purpose. I am praying for you Pastor that your heart will be unthawed and that you will lay down this armour of fear and hubris and learn from those who can teach. As a bereaved parent, a licensed therapist with expertise in traumatic grief and bereavement, and a Certified Compassionate Bereavement Care Provider, I ask you to please consider taking Dr. Joanne Cacciatore up on her offer to gift your tuition in the CBC provider course. When we stop learning we stop growing. Ask yourself whether the Lord would want you to learn more about a large portion of His flock who need, more than anything else, love, non-judgmental support and leaders of faith who can truly sit with them in pain. It is not for you or anyone else to change the grieving person’s heart, but to witness and learn. I pray that you will move from love and hear the cries of the bereaved not simply as angry people who want to stay stuck in pain, but of hurt and marginalized people who want to be held rather than forced to heal before any healing that may be needed is ready to come. "No matter what, you are always a mother. And no matter what, your mother is always your mother. We can remember them all with love." Blossoms on Theo's tree this Spring 2013. This article was posted originally in 2011 as a contribution on GoodTherapy.org. I wanted to post it here, this year, in honor of so many mothers I know and love who are missing their children this Mother’s Day. I am also posting in honor of my mother, who is spending her first Mother’s Day without her own mother, and in memory of my grandmother Betty Wood, known and loved by so many. We love and miss you. Mother’s Day is observed by many as a joyful day of celebration, a time when hardworking mothers can have a chance to put our feet up, relax, be treated to breakfasts in bed, special lunches or dinners, given special consideration. We might receive gifts lovingly chosen or perhaps handmade by our children and partners. The day may hold special times set aside for visiting with or talking to our mothers, perhaps making up for time we have been apart, busy with our lives. The idea of Mother’s Day in our culture is painted as brightly and sentimentally as any Hallmark commercial. We are all faced with the barrage of Mother’s Day commercials created to tug at our heart strings (and of course, urge us to open our wallets); and in all those things, so much of the grief we experience is the grief for that which can never be our reality. Each person’s grief, and his or her response to the pain of grief is always highly individual, but no matter what, if you are mother whose child has died, or, if you are a child whose mother has died, Mother’s Day is a sad time. For women whose children have died, it can almost go without saying that Mother’s Day is deeply painful, and because of that, it should never go without saying. If you know a mother whose child has died, at any age, please acknowledge her motherhood as well as her pain. The greatest gift for a bereaved mother on Mother’s Day can be the simple, but hugely powerful, recognition of her motherhood. Even though our children have died, we are still mothers–to all of our children. The simple act of recognition allows a bereaved mother the validation she so often seeks and sadly, so often finds missing. A hug and a “Happy Mother’s Day,” even if that seems improbable, could mean more than one could imagine. There are many things supportive friends and family members can do to help ease the pain of this difficult day for a grieving mother. Visit her child’s grave, leave a pretty stone, a seashell or other small trinket, and let her know you were there. Talk about her child. Use her child’s name in conversation, no matter how brief. All bereaved parents long to hear other people speak their child’s name after he or she has died. Many non-bereaved people think (wrongly) that if they mention the child, this will somehow “open the wound,” or “remind” us of the loss. You can trust that we are already thinking about our children, that wound is ever-present as part of who are now. Our children are never, ever far from our hearts and minds. One of the greatest fears for a bereaved parent is that no one, except for us, will remember our children. If you have a special memory of her child, send a card with a story of that memory enclosed. It will be a cherished treasure. Even a note simply wishing her a happy and peaceful day is a gesture that is greatly appreciated. 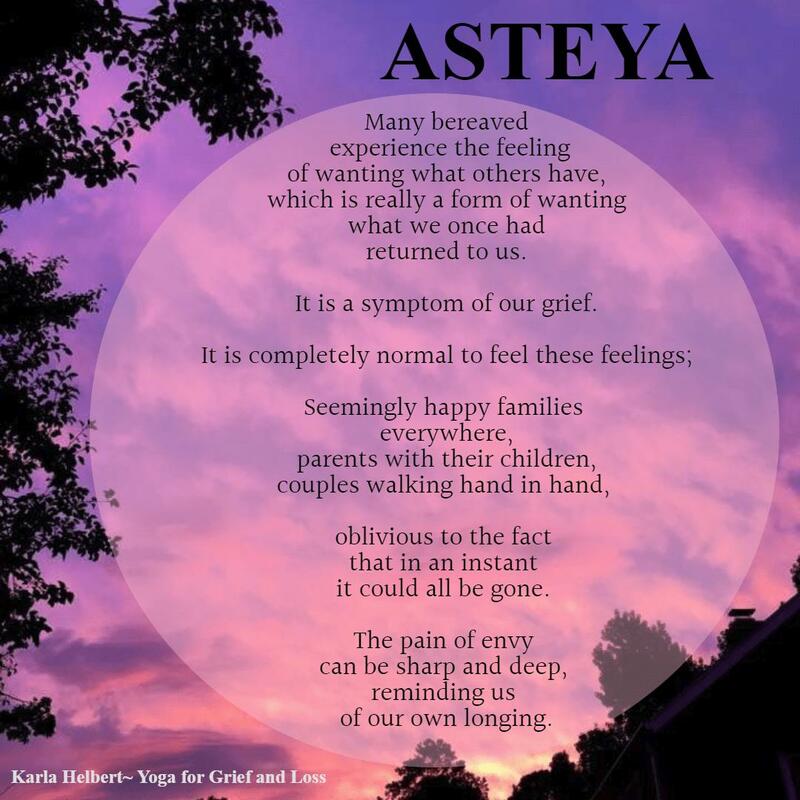 When we are bereaved mothers who are also fortunate enough to have other children who are alive, we continue to miss and to mourn the ones who are not here for our arms to physically enfold. For these mothers, acknowledging their child who has died can be an incredibly meaningful gift. One child does not replace another. We celebrate in the joyful presence of our living children and deeply mourn the absence of the ones who are not here sharing our daily lives. Remembering that we are mothers to all our children is such a special act. For women who have suffered early miscarriage, women experiencing infertility problems, or for birth mothers whose birth children have been placed in adoptive homes, Mother’s Day can bring a silent and isolating grief. Much of society does not recognize the loss that can be inherent in these women’s circumstances. Simply letting her know that you are thinking of her on this day can be welcome gesture. A phone call to check in and a simple, “I was thinking of you today and wondering if you were doing ok.” This can allow her to talk about her feelings if she chooses to do so. For any person whose mother has died, Mother’s Day can be a painful and sad time. A tradition of the not so long ago past called for corsages to be worn on Mother’s Day. A red corsage meant that person’s mother was still alive. A white flower meant their mother had died.Those who wore white flowers were most likely given extra hugs or an extra squeeze of the hand. The openly worn symbol of the flower allowed others to feel freer to talk about the woman who had died, to feel invited to share remembrances or condolences. In our society where mourning is no longer a widespread or open practice (though I am working hard, along with likeminded friends and colleagues to change that), other community members may not always feel they can openly discuss “the departed.” If you know someone whose mother has died, or if you knew his or her mother, perhaps sending a white flower in memory of their mother may be a lovely gesture. You might also consider sending a card or letter, or making a phone call specifically to share memories of that person’s mother. Taking a moment to let her child know how much she meant to you, can be very comforting. If you know a young child whose mother has died, acknowledge that child’s pain and let that child know that you are a safe person to talk to. Again, sharing memories of the child’s mother can let that child know how much his or her mom meant to others. For all of us, childless mothers and motherless children alike, planning a way to remember our deeply cherished loved ones is very important. Make a plan that will honor your mother’s life, your child’s life. Acknowledge their presence in your life, your heart and your mind. Honor your love for them, as well as the pain you feel due to their absence. Create new traditions for this day, such as lighting a candle or saying a prayer, or wearing a flower. You might wish to donate to a charity in your child’s or your mother’s name, plan a visit to the burial site, plant a tree, create a work of art, or start a scrapbook. Read your mom’s favorite book, watch her favorite movies, listen to songs she loved. Name a star after your child, make his or her favorite food, plan a balloon release with notes to him or her written on the balloons. No matter what, you are always a mother. And no matter what, your mother is always your mother. We can remember them all with love. I vividly recall the first Mother’s Day after my son died. It was a very sad, painful day. The beauty of spring itself seemed to exist solely to mock my childless arms. On that day, my husband and I planted a tree in our backyard. I had originally planned to plant a tree for our son so that he could watch the tree grow as he grew. Instead, we planted the tree in his memory. The choosing of the tree, bringing it home, digging the hole, and the placement of the tree itself, were all acts that meant more than the simple planting of a tree. The act was elevated to ritual status and was very healing and comforting. I placed special stones around the tree, hung wind chimes and placed special ornaments in and around the tree. Caring for the tree has become a way of demonstrating our on-going love for him. Weeding, decorating the area, watering and fertilizing the tree have allowed for that loving memorial to continue. The tree is visible in our back yard from every window that looks out of the back of our house; kitchen, living room, bathroom, hallway, office. While nothing takes away the pain of missing my child, the ritual we created together to honor his memory made that first Mother’s Day more bearable, and is a constant reminder of our love for him. Seeing the tree bloom each spring and watching it grow a little taller and stronger with each passing year underscore the tree’s symbolic representation of our ever-present love for him and his presence in our family. personal circumstances, spend some time making a plan for honoring, remembering and memorializing. Think about doing something to care for yourself as well. Self-care gifts such as massage, manicure, pedicure, can all help to alleviate stress. Ask for what you need. Taking time to be alone, to write in a journal, to make art, to take a walk, spend time in nature, or simply to rest can be very helpful. If you need support, ask for it. If you worry that no one will do anything for you on Mother’s Day, be pro-active and tell your loved ones what you would like to do to observe the day. Plan a lunch or dinner with supportive friends or family. Give yourself permission to do what you need to do to take care of yourself. 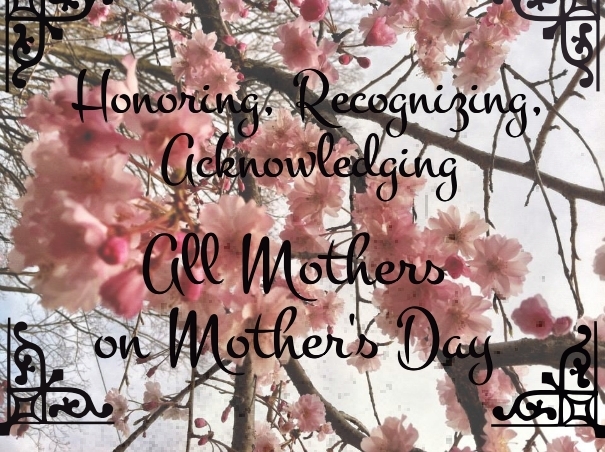 Feel free to share here the ways you will honor your Motherhood, remember your mother, or how you will spend your day. Wishing us all a peaceful day this Sunday.